Individual Service: We are one of the very few yacht charter companies in the Aegean who offer Captain guided sailing holidays that you can join as a single or a couple – on our own yachts. In this part of the world, that’s important! We are a small, owner-operated, hugely experienced business (since 1999) – and the staff you talk to on the phone or email will probably be the ones sailing with you. So we care a great deal that we get the right mix of people on board. Our staff are dedicated to service. It’s our personal commitment to ensure that you have a trouble free and satisfying vacation. With these few basic rules the company has grown, and expanded. We now have a staff of 6, including 2 full time Captains/Instructors. Our Clients come from as far away as New Zealand, Australia and North America and from all over Europe as well. 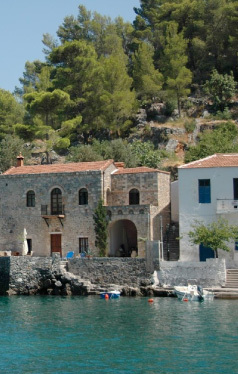 They include Doctors, Lawyers, Accountants, and even Army Generals and very senior Naval Officers… all looking to full fill their private dreams of sailing in the Greek islands. At Athens Yacht Charter Greece we can help you plan your vacation with the best itinerary, at the right price and our sailing holidays are available to everyone no matter of your sailing experience. 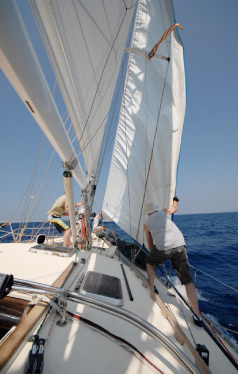 What ever your wish, we are here to provide you the most exciting sailing experience possible. In order to help you full fill these dreams, and make a fantasy a reality we have a selection of beautiful 50+ foot yachts maintained by professional owner/captains that can carry you deep in to the Greek islands. If you where to add all the years experience each one of our staff has in the marine industry it would total over 140 years. That is an example of the depth of experience we have in our company. amongst the islander's for a number of years. As a result our staff has developed an intimate network of islanders and people who can help make a sailing holiday special. Whether with our yachts or by choosing the right islands to visit,our staff have the experience and connections to make your stay with us a special and enjoyable sailing vacation. 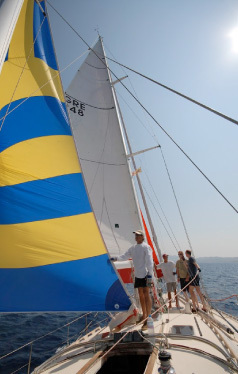 Our passion is sailing and our pledge to our clients is to deliver and outstanding holiday experience. We bring our highly personalised service and our combined knowledge of more than 140yrs of maritime experience in the charter industry to work for you. Our clients are surprised to discover that such a 'small' charter outfit offers facilities normally associated with so-called 'premium companies', this is because our passion for perfection is never satisfied. Sailing is a lifestyle, a way of life, let us share that knowledge with you. line sailing vacations. We are confident that our services and our commitment to you will give you the best sailing Yacht Charter holiday in Greece.